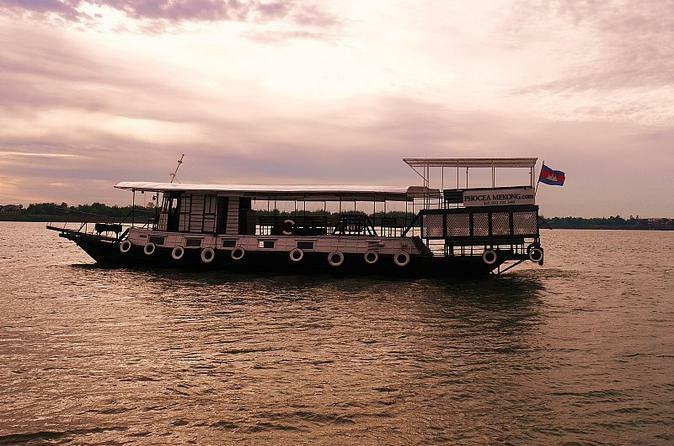 On this 2-hour Sunset Dinner Cruise, enjoy the sunset, listen to live traditional Khmer music, coast past floating villages, see the Royal Palace, and see Phnom Penh skyline from a different perspective. You'll also enter the point where the Tonle Sap, Mekong, and Bassac rivers meet. Our Khmer and Western all-you-can-eat BBQ buffet is prepared on the boat using fresh, local, organic ingredients, with no chemicals or MSG; while offering vegetarian and vegan options. Full bar, cocktails, coffee, and a la carte menu is also available for purchase. Upgrade from the base cocktail cruise and enjoy an exceptional dinner cruise. Enjoy a barbecue dinner made from fresh ingredients and try some delicious cocktails. You will be able to admire the view from the Royal Palace and also cruise along the banks of the Mekong River. 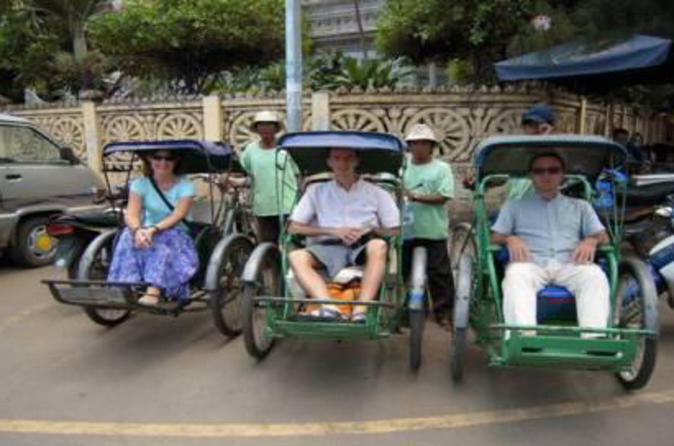 Killing Fields & S21 Shuttle Bus Tour, a must-see tour while in Phnom Penh, now available on an air-conditioned tour bus. Free hotel pick up and drop off (with city limits) or drop off at riverfront, English speaking bus attendant, recorded English commentary, and video documentary onboard. Don't want to inhale the dust and fume on a tuktuk for 2 hours!? This half day shuttle bus tour is your best choice. 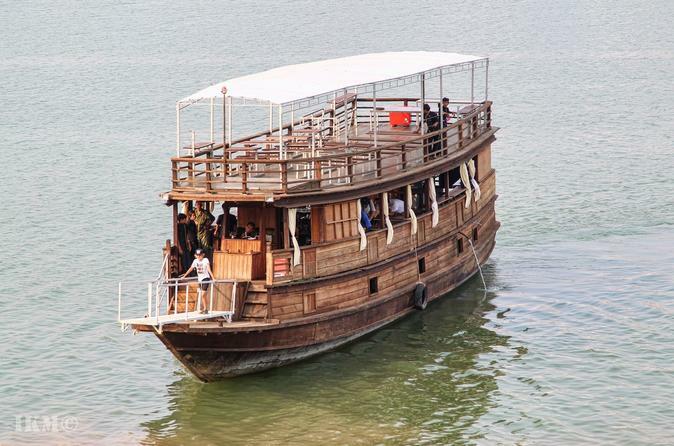 On this half-day Silk Island Lunch Cruise and Tour, enjoy an all-you-can-eat lunch prepared on board, just for you. Visit Silk Farms to see silk production from larvae to finished products, a modern temple (pagoda) that is a working monastery, and stroll by plantations. Tour guides will be provided on the island. Full bar, cocktails, coffee available for purchase on board. See a traditional dance show presented by Cambodian Living Arts on Stage (formerly known as Plae Pakaa) and discover Cambodian traditions of dance that will take you on a journey from Angkorian palaces to the villages of today. The troupe, featuring live singers and musicians, present eight Classical and folk dances on stage in the beautiful grounds of the National Museum of Cambodia, in Phnom Penh. 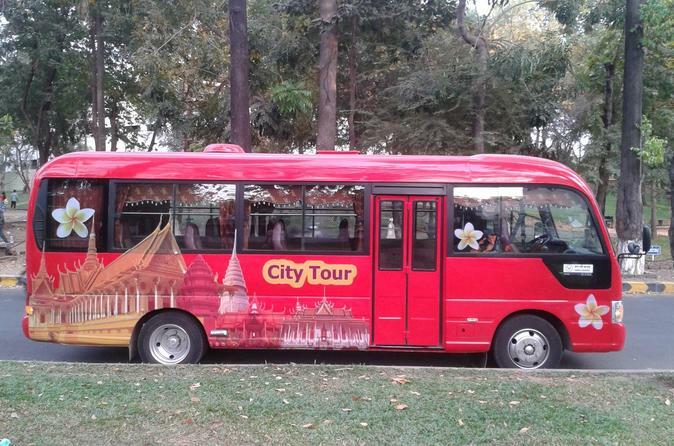 Explore Phnom Penh city with this air-conditioned Shuttle Bus! 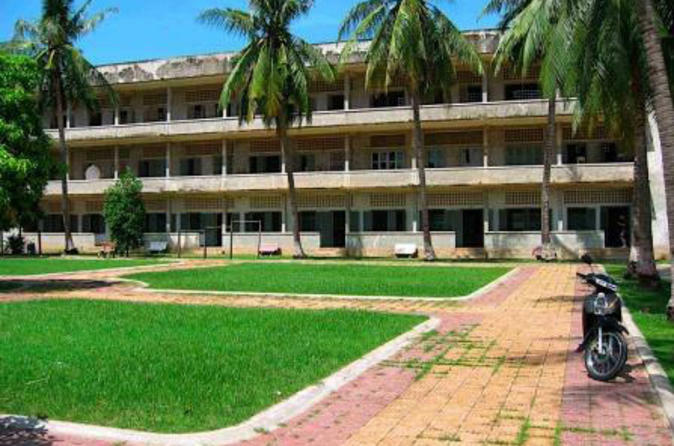 Visit the must-see sites such as Killing Fields and Prison S21 on a safe, comfy & clean tour bus. Learn the history of the city and the country. 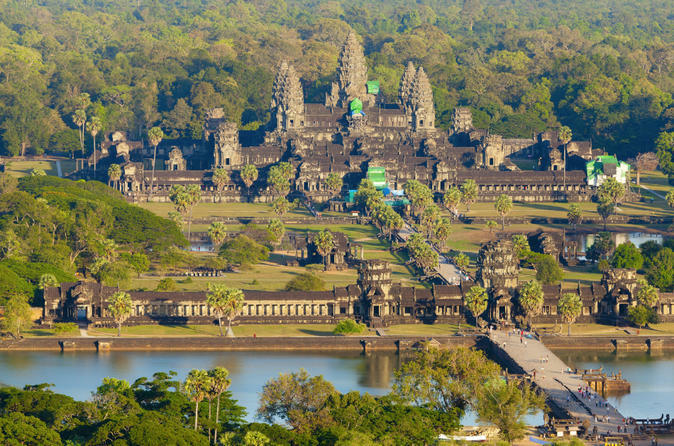 This comprehensive introduction to Cambodia takes you to sites that reveal the country's tragic recent history and the inspiring UNESCO World Heritage-listed Angkor temples. 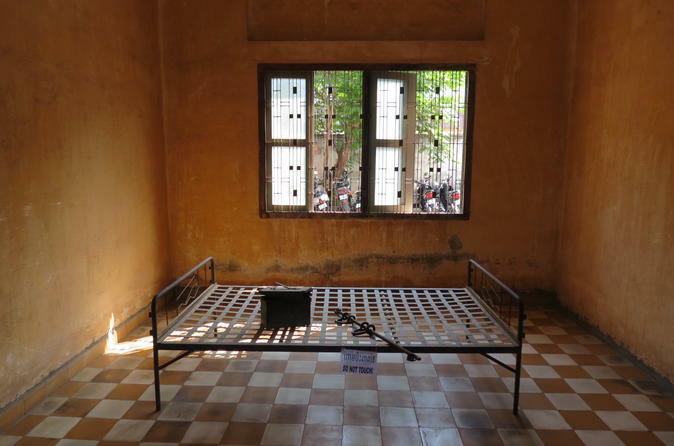 Your knowledgeable guide enlightens you about the Khmer Rouge of Pol Pot’s regime at the Tuol Sleng Genocide Museum and the Choeung Ek Memorial, site of the infamous Killing Fields. Afterward, travel by air from lively Phnom Penh to the French-colonial city of Siem Reap, where you get to see Bayon, Ta Prohm and Angkor Wat with your 3-day Angkor Pass. Numbers are limited to 16 people, ensuring a personalized experience with a small group. 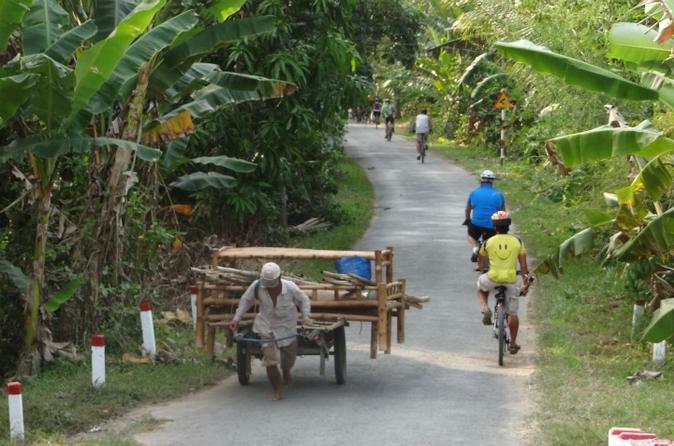 Enjoy a morning bicycle ride on quiet back roads of the Silk Islands near Phnom Penh. 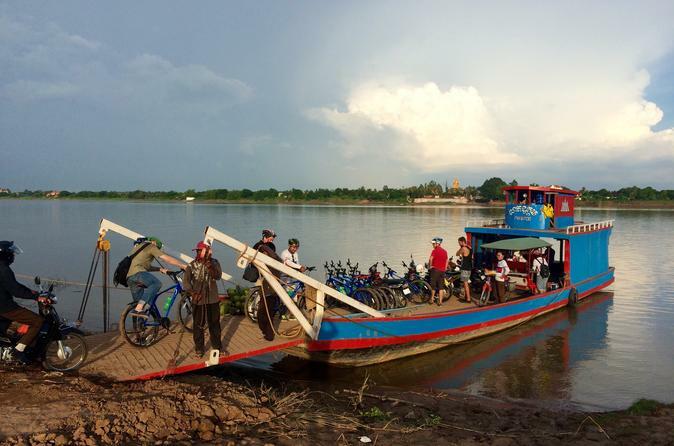 With a guide, you'll visit local communities and ride past farmland to observe rural village life in the Cambodian countryside, only a short distance from the capital city. Lunch is included. Retreat into the countryside on this scenic one-day trip, and experience Oudong's ancient beauty by bicycle! Ride along sienna dirt roads and scenic backcountry trails, and explore Cambodia's rural charm by visiting majestic Khmer temples and pagodas, rusty palm wineries, and local villages and markets. Climb the stairway that leads up to the view point of the Oudong temple for a breathtaking view over the visually stunning countryside and its surrounding nature. This 9-hour tour is not an overnight trip. Escape the city Tour the Tonle Sap and Mekong Rivers and watch the sunset over Phnom Penh whilse relaxing on the Mekong Tara Prince. 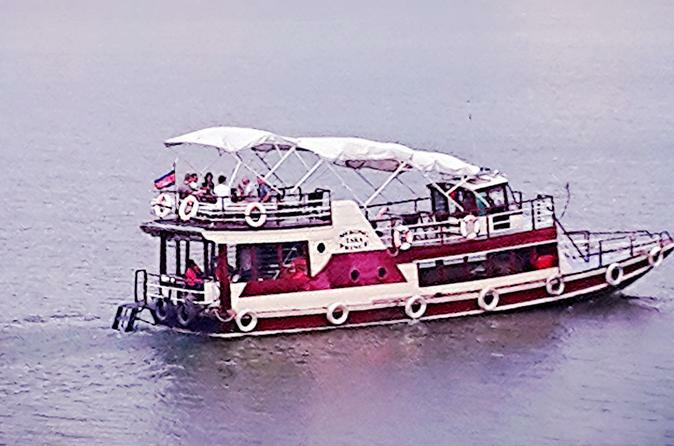 We cruise by the Royal Palace before turning into the Mekong, passing the floating villages all from the comfort of the top decks enjoying the included BBQ buffet and drinks. Once owned by the prince, this beautiful boat has been refurbished to offer comfort and style ensuring a perfect journey, and its unique double haul enables us to navigate areas other river boats cannot.